Great British Shooting returns to the beautiful countryside of Northamptonshire. 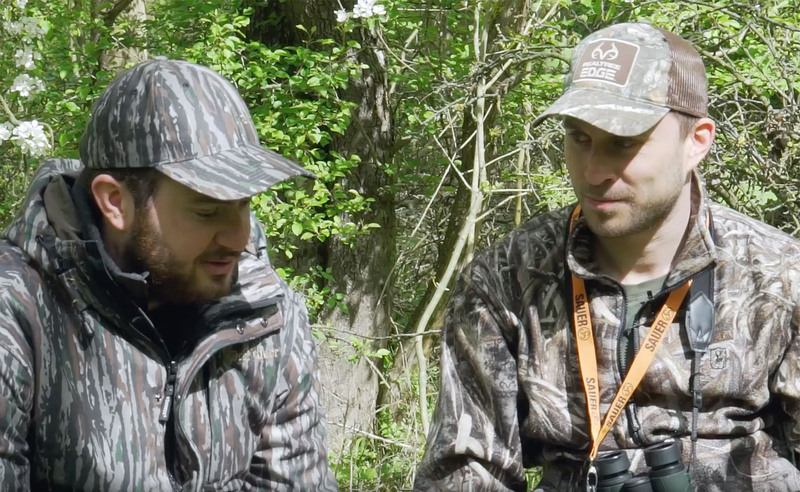 On this episode Ian Harford, Frank Stephenson, Frederic Hanner and Keith Watson head out muntjac stalking. 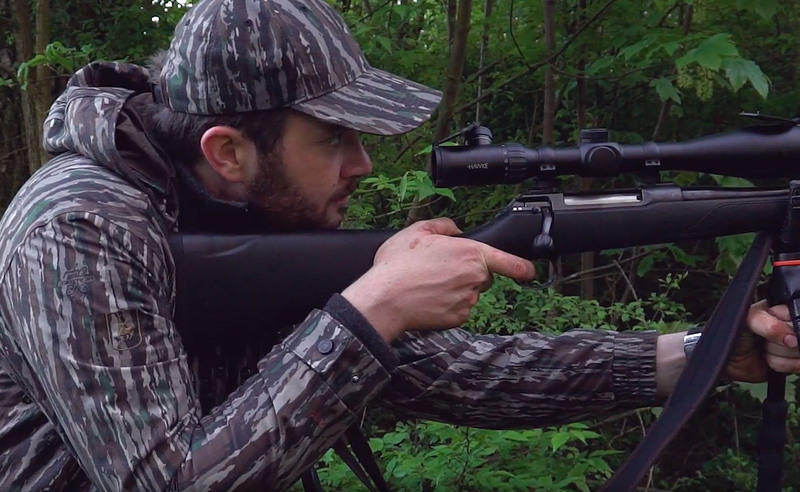 Video: Muntjac Stalking in Northamptonshire with Frank Stephenson and Frederic Hanner. Introduction to Frank Stephenson and Frederic Hanner and their equipment. On the previous episode of Great British Shooting. It was the start of the pheasant shooting season at Wolseley Park in Staffordshire, following gamekeeper Steve Wild and his team of beaters. 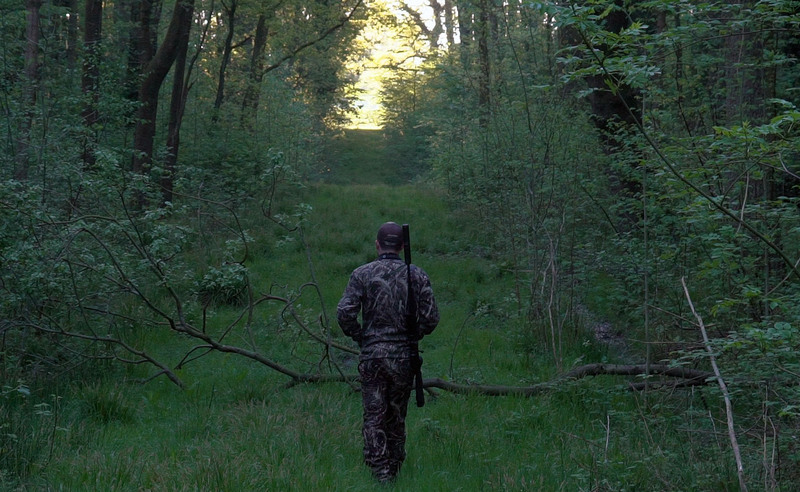 A magnificent evening for muntjac stalking. It’s a wonderful evening in May as we join Ian Harford and Frank Stephenson from Guns On Pegs. Frank is an experienced hunter and has stalked muntjac numerous times in the past. However, the Northamptonshire countryside is slightly different to some of the locations Frank has previously experienced. This woodland has a strong presence of animal life including, muntjac, roebuck, roe does and foxes. Equipped with the Sauer 202 bolt-action rifle, Frank and Ian head out ready for their first stalk of the day. Sauer International sales manager Frederic Hanner and Keith Watson are also out stalking early that morning. As they explore the woodland it isn’t long before the spot a muntjac. Frederic gets his Sauer 100 rifle set up on his shooting sticks, he carefully squeezes the trigger, the shot hits perfectly. This is Frederic first Muntjac and sounds of another barking nearby show signs that there are more opportunities that lay ahead. With the sun beginning to set the film follows Frank who is set up in a highseat. Whilst he’s been enjoying his stunning surroundings he saw a roe doe in the around 150 yards in the distance. However, there was a follower staying close by and Frank didn’t take a shot. The next morning Ian, Frank and Frederic are out early. The weather conditions are ideal for stalking. Back in a highseat, Frank spots a muntjac in a nearby ride and decides to head in that direction on foot. Frederic also headed out on foot after several hours in a highseat. 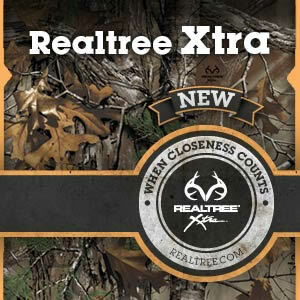 During his stalk he did come across a fox, getting step up on the shooting sticks, they called the fox that immediately responded and offered Frederic a safe, clean shot. As the day goes on both Frank and Frederic see plenty more exciting animal movement, but unfortunately, they were not in a position to take any ethical shots. It has been a fantastic trip both Frank and Frederic and an outstanding adventure in the Great British countryside. 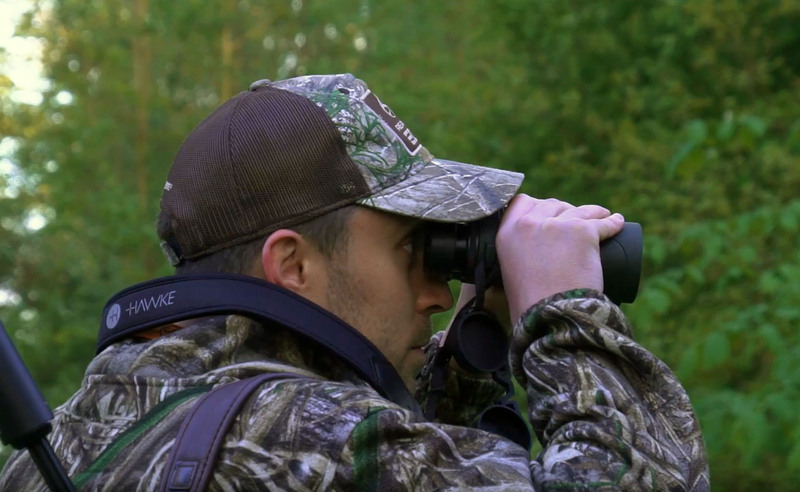 Subscribe to the Team Wild TV and watch the full series of Great British Shooting.